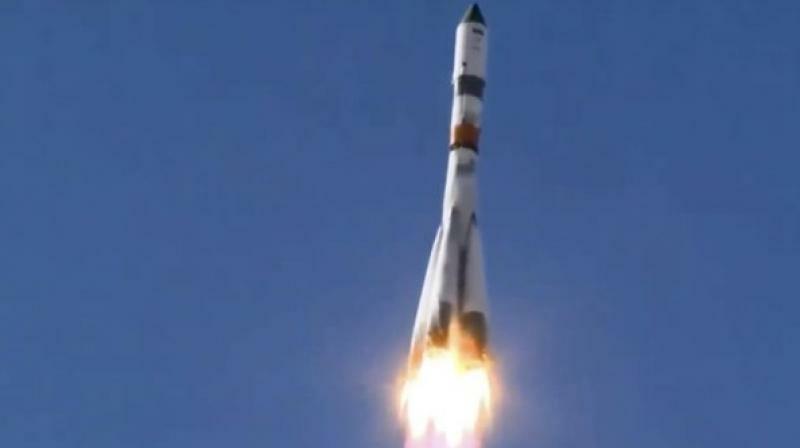 The Progress freighter blasted off Thursday from the Russian launch facility in Baikonur, Kazakhstan. An unmanned Russian spacecraft carrying more than three tons of cargo has set a record time for a trip to the International Space Station, docking with the orbiting outpost in three hours and 21 minutes. The Progress freighter blasted off Thursday from the Russian launch facility in Baikonur, Kazakhstan, and docked with the station after two orbits. It was 19 minutes faster than the previous record set by another Progress ship in July, according to the Russian space agency Roscosmos. The cargo ship is carrying fuel, food, water, oxygen and other supplies for the space station, which currently has three Americans, two Russians and one Canadian astronaut on aboard.